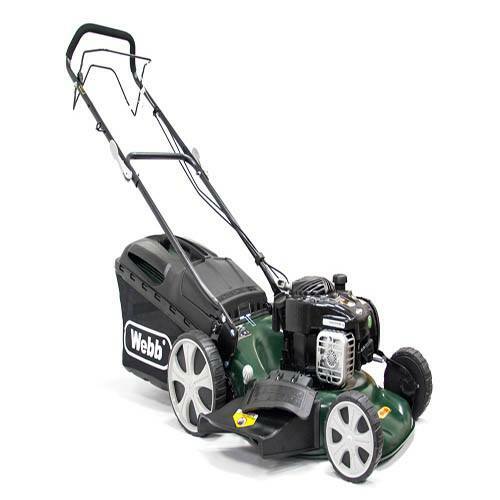 This UK designed WEBB self propelled rotary mower offers great value for money when compared to other machines in the same price bracket. It has a substantial 46cm width of cut and a large 60 Litre collection bag. It also benefits from great manoeuvrability and durability whatever the conditions. <?xml:namespace prefix = 'o' ns = 'urn:schemas-microsoft-com:office:office' />This product is delivered directly from the supplier. An email address and telephone number must be given at point of ordering so that delivery can be arranged.